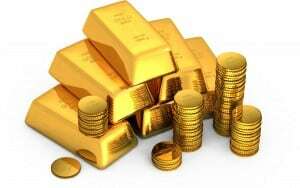 Dubai: The use of gold in complex financial transactions could soon have a Sharia benchmark to go by. The World Gold Council and Amanie Advisors, an advisory firm specialising in Islamic markets, are calling in submissions from all relevant stakeholders on the ways and means to develop a ‘Sharia Standard’ for the metal. These need to be submitted by December 31. Interested parties are to respond on the exposure draft, which along with the consultation questionnaire can be found online (www.gold.org/shariah). A final version of the Standard should be “ready by the end of Q1 next year”, said Natalie Dempster, Managing Director of Central Banks and Public Policy at WGC. “The exposure draft has been sent to academics, regulators, central banks, financial institutions and investors,” Dempster added. “We have already had a good deal of feedback from the regulatory and central banking community. Creating a Sharia benchmark for gold would have a qualitative impact on fast expanding global Islamic economy, with the consultancy EY projecting that the six Gulf states added $91 billion in Sharia-compliant assets this year. EY further reckons that the assets held within the global Islamic banking system will be valued at $1 trillion by year-end. Within these increasingly wide-ranging — and complex — financial transactions, there is a place for a Sharia-mandated gold asset. “While there is some guidance for gold coins and bars, there is virtually no guidance on gold elsewhere in the financial sector,” said Aram Shishmanian, CEO of World Gold Council. According to a statement issued by WGC, a future Standard would ‘facilitate the development of a wider range of Sharia-compliant gold products, provide greater clarity for Islamic finance investors and increase the overall volume and diversity of liquid Sharia-compliant instruments globally’.